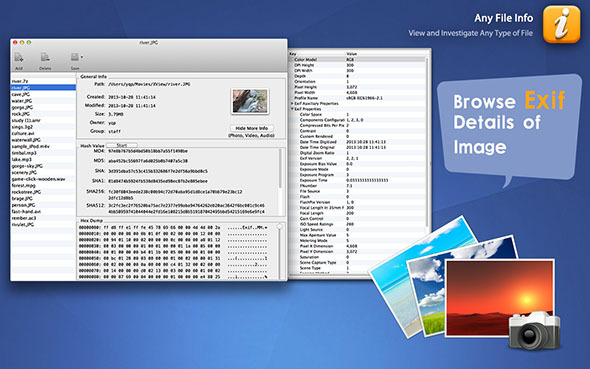 A professional exif viewer and md5 decrypter on Mac! 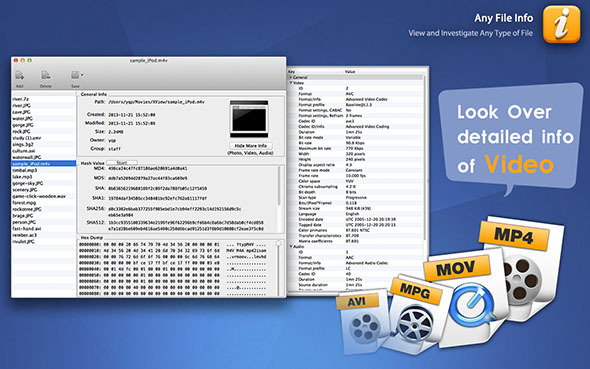 Any File Info is a professional mac exif viewer to browse and edit files and media info. 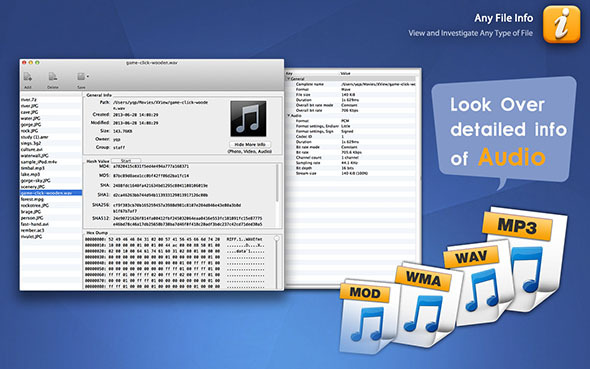 It supports multiple types of files：documents, images, audios and videos. Any File Info enables you to access advanced information clearly and quickly. It supports more of Hash Value than other apps. With Any File Info, you can view EXIF details of images; browse the attributes of any files; and look over detailed information of both audios and videos. 1) Browse detailed information of audios and videos. 2) View EXIF details of images. 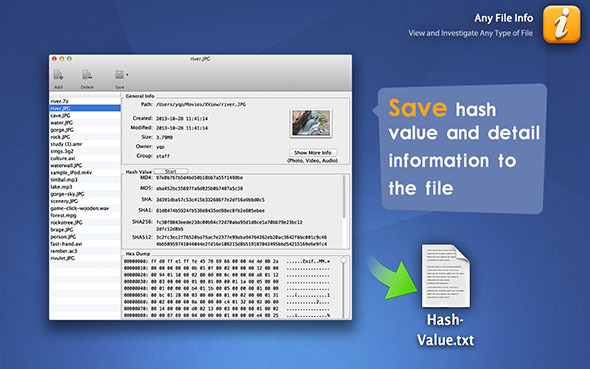 6 Save “hash value and detail information” to the file. 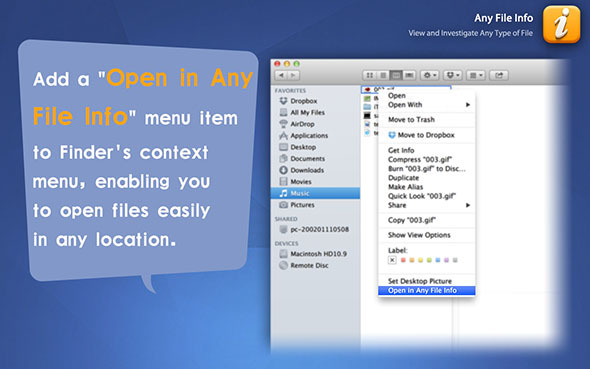 7 Add a “Open in Any File Info” menu item to Finder’s context menu, enabling you to open files easily in any location. We are a team focusing on Mac Apps development. Our goal is to create easy-to-use, powerful, stable and useful softwares. We are a high-tech company with professional product-design team, R&D team, QA team and after-sales support team to provide market-leading Mac applications for the global consumers with our own brand! We are pleased to have any advice from you who will help us to improve our softwares.